At the United Nations Lima climate summit, Australia’s foreign minister Julie Bishop has pledged A$200 million over four years to the Green Climate Fund, which seeks to raise US$100 billion (A$120 billion) per year by 2020 to help developing countries deal with climate change. The announcement is good PR and plays readily into the narrative that the Abbott government will “reboot” and “re-engage” with voters in 2015. 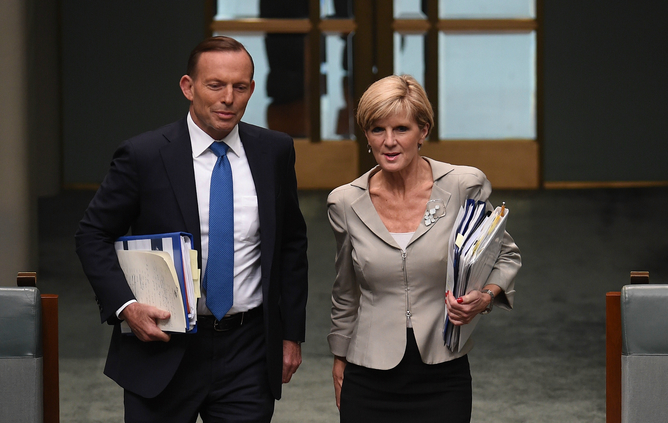 It also directs attention to the cabinet’s “star performer” Julie Bishop, and provides an alternative framing to Australia’s embarrassing isolation on climate action. Scratch beneath the surface, however, and an alternative picture emerges. Put simply, the size of Australia’s contribution to the fund does not suggest that the government accepts the moral argument of “climate debt”, or that it is willing to put its neighbours’ well-being ahead of its own short-term political gain. “Developing countries, which have historically contributed little to global warming, are now, ironically, faced with 75 to 80 percent of the potential damage from it. They need help to cope with climate change, as they are preoccupied with existing challenges such as reducing poverty and hunger and providing access to energy and water. The share of responsibility for fossil fuel-derived greenhouse emissions since 1750 can also be broken down by country. James Hansen, former director of the NASA Goddard Institute for Space Studies, provided estimates in an open letter to Australia’s former Prime Minister Kevin Rudd. Hansen estimated that the historical carbon debt of the United States was 27.5% of the total. Australia has much lower cumulative emissions (1.5%) but is the worst greenhouse emitter per capita among major western nations. Using this figure, groups like the Climate Institute have suggested that A$350 million is the minimum fair contribution to climate financing that Australia should make. I agree with Alexander M Zoltal’s remark about meeting moral responsibilites to developing countries. Reparations would surely follow more readily if they did? I can’t think of what could be so hard. Thank you Millie and also Alex for commenting. I agree that resolving the climate crisis is complex financially; yet, the finances are not the critical concern. True Alex. Thank you for reading and sharing your views.